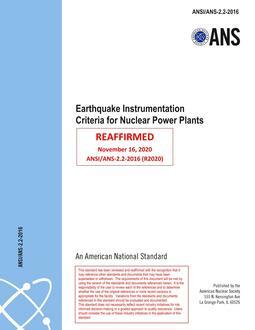 This standard provides criteria and guidance for performing a Probabilistic Seismic Hazard Analysis (PSHA) for the design and construction of nuclear facilities. 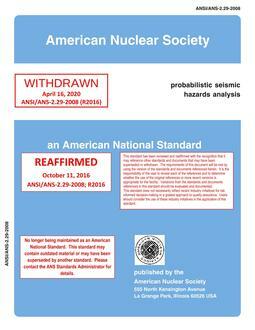 As defined in ANSI/ANS-2.26-2004, a nuclear facility is a facility that stores, processes, tests, or fabricates radioactive materials in such form and quantity that a nuclear risk to the workers, to the off-site public, or to the environment may exist. 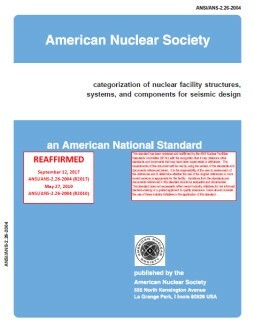 These include, but are not limited to, nuclear fuel manufacturing facilities; nuclear material waste processing, storage, fabrication, and reprocessing facilities; uranium enrichment facilities; tritium production and handling facilities; radioactive materials laboratories; and nuclear reactors.